Author and Entrepreneur Tami Holzman: What comes naturally? You never avoid anything that comes naturally. What do people tell you you’re good at? What gets me up in the morning? You know, I am naturally just an excited, passionate person, so you never know what the day brings. Listen, I’m like anyone else, too. There are some things that never get me up in the morning. I will delay, delay, delay, delay and get my coffee and go back to bed and work from bed. So you know, what gets me up in the morning is usually just making stuff happen. If I have exciting things happening and I’m inspired, you can’t get me up soon enough. If I don’t have a lot going on and I’m not feeling inspired, you can’t get me out of bed. That’s just me. That’s just the truth. So for me, for someone who has reinvented herself a few times, that’s what I look for. I look for the things that inspire me. Ways to reinvent yourself? 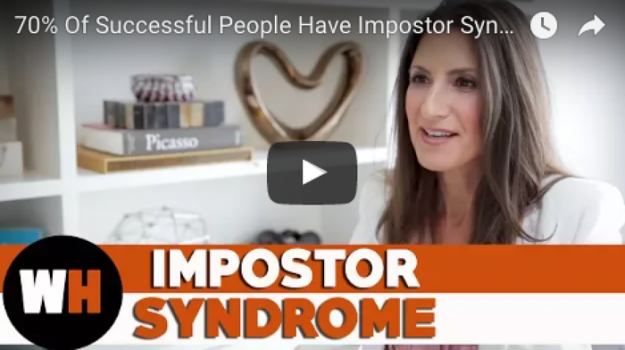 From someone who has done it multiple times…this has taken me a long time to kind of figure out, even if I subliminally knew this, it’s knowing what your superpowers are. And if you know what your superpowers are than your skills can translate into any business whatsoever. And I find ways that you can find what your superpowers are is to ask some questions. You can just ask them out loud in your head. What makes you excited? What can you do for hours? What if you could do something and money wasn’t an object? What comes naturally? You never avoid anything that comes naturally. What do people tell you you’re good at? I’ve had people tell me that I was so good at connecting people and bringing people up and they were literally telling me my superpowers my whole entire life. And you can choose to listen when people give you that feedback or you can choose not to. You can definitely ask yourself some questions. 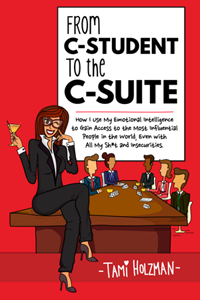 I definitely talk about finding your superpowers in the book [From C-Student to the C-Suite: How I Use My Emotional Intelligence to Gain Access to the Most Influential People in the World, Even With All My S..t and Insecurities] but it’s definitely those questions because usually your skills can translate. Business is usually a backdrop to something, right? But if you happen to be great at getting in the room in business development and sales you can learn the craft. If you’re great at art and you are a graphic designer then you can do graphic design for a shampoo product or a computer project. When people told me what my superpowers were, I knew that they were right. The thing I didn’t do was I sort of took it for granted. I didn’t say “I can make money at this.” I was not as specific as I should have been. And speaking of Malcolm Gladwell, he talks about this and he also talks about being an outlier. I’ve always felt like I was an outlier. I’d never really had taken a traditional approach to anything. You say go through the front door and I’m going to go through the back door. So I always had this way to maneuver and get in and connect with people. And the question is was I making money at it? Or was I doing it as a hobby because it was just fun? Question for the Viewers: How many times have you reinvented yourself? What have you learned in the process?